COCOA, Fla. - Feb. 24, 2018 - PRLog -- As I was studying Lincoln I wondered why a pioneer child would want to learn to read, something no other child at that time wanted to do. These days children want to learn to read because their older siblings do it. Parents read. Their parents take them to the public library (children's section). Parents read to their children. Children conclude that if you want to be a big person, learn to read. But why would a poor pioneer child want to do such an unpopular activity? Especially since pioneer children rarely attended school. Lincoln as president had a great respect for former slaves who wrote and lectured. To him, they were heroic. Many were self taught and seemed more intelligent than Lincoln himself in spite of being badly mistreated before escaping slavery. Sojourer Truth noticed that President Lincoln seemed to admire black people. She said, "He showed as much kindness and consideration to the colored persons as to the white—if there was any difference, more." At his second inaugural reception he said to Frederick Douglass, "Douglass, I saw you in the crowd today listening to my inaugural address. There is no man's opinion that I value more than yours: what did you think of it?" "It was a sacred effort," said Douglass. Lincoln became an early martyr for African American Civil Rights. During his last speech he said, "It is unsatisfactory to some that the elective franchise is not given to the colored man. I would myself that it were now conferred on the very intelligent and on those who served our cause as soldiers." 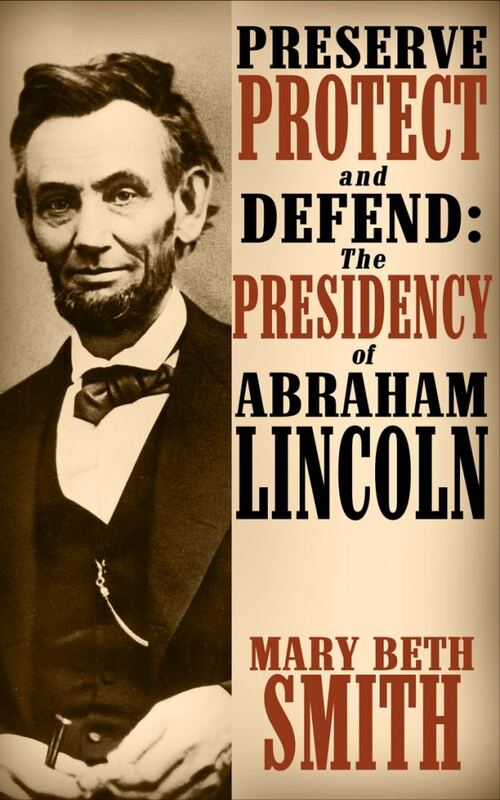 This book touches on many of the Civil War battles, Lincoln's speeches and writings and most of his actions during his presidency. It is the third volume in a series which includes his early years, his time as a lawyer and his reentry into politics.